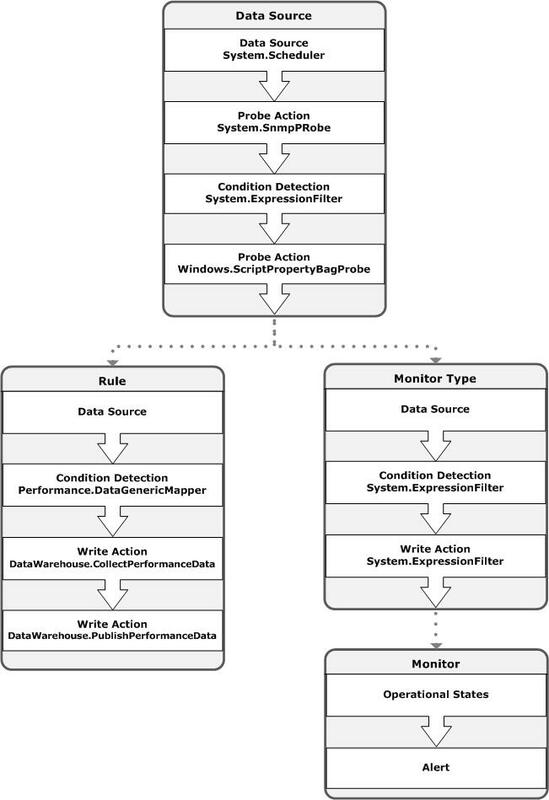 With its wide range of usefulness in implementing conditional logic, expression evaluation, and error filtering, the System.ExpressionFilter module is likely to be a frequently used module in most OpsMgr Management Pack authoring scenarios. However, the default configuration for the System.ExpressionFilter module may lead to a potential syntax error that is quite easy to miss, in my opinion. This potential syntax error relates to the default configuration of the ValueExpression elements of the ExpressionFilter, in that the ValueExpression defaults to an XPathQuery value type. If this default is not changed when evaluating a non-XPathQuery value, the workflow (as well as all workflows cooked down with the faulted workflow) will fail. Unfortunately, this type of error is not caught by the MPBPA, most likely due to the difficulty in differentiating between a valid XPathQuery value and string value. To perform some basic error checking to identify these errors when authoring, I have written a simple PowerShell script that analyzes the XML of an unsealed Management Pack and reports errors and potential errors with ValueExpression configuration in ExpressionFilter modules. The script accepts the path to the Management Pack XML file as the single input parameter and then searches the XML for RegExExpression, SimpleExpression, and DayTimeExpression XML nodes. These nodes are evaluated for mismatches on XPathQuery expressions and mismatches are reported to the console. For example, monitoring of an interface’s operational status only requires current SNMP GET requests (to retrieve the ifOperStatus and ifAdminStatus values) from the SNMP ifTable. Condition detection for the monitor type definition can handle the SNMP values as they are presented with no further manipulation. However, to monitor a value such as the percent free bytes on a Cisco memory pool, data manipulation is required. In this example, a percentage value is not exposed via SNMP, but free and available values are. So, to calculate a percentage, the free and available bytes values must be summed and then the free value divided by that sum. And lastly, in some cases, a value from a previous poll must be referenced to detect the desired condition, such as monitoring for an increase in the collisions reported for a Cisco interface. In this example, the locIfCollisions values can be retrieved from the locIfTable, but this is a continually augmenting counter, which is difficult to monitor. By recording the value from the immediately previous poll, and comparing it with the current poll, a delta value can be established for that polling cycle to determine the number of collisions recorded in a single polling cycle.